The Temple of Elemental Evil is a familiar name to anyone who’s played even a little bit of the original, pen & paper version of Dungeons & Dragons, as it was one of the most successful and critically-acclaimed modules in that game’s history, spawning a buggy computer game and a novel (that I assume is unspeakably awful) in the thirty years since its first publication. Wizards of the Coast, now the owners of the D&D name and franchise, have brought the Temple into its line of miniature-based D&D boardgames with a tile-based system that borrows from the themes of the popular role-playing game but cuts down on the original’s complexity. 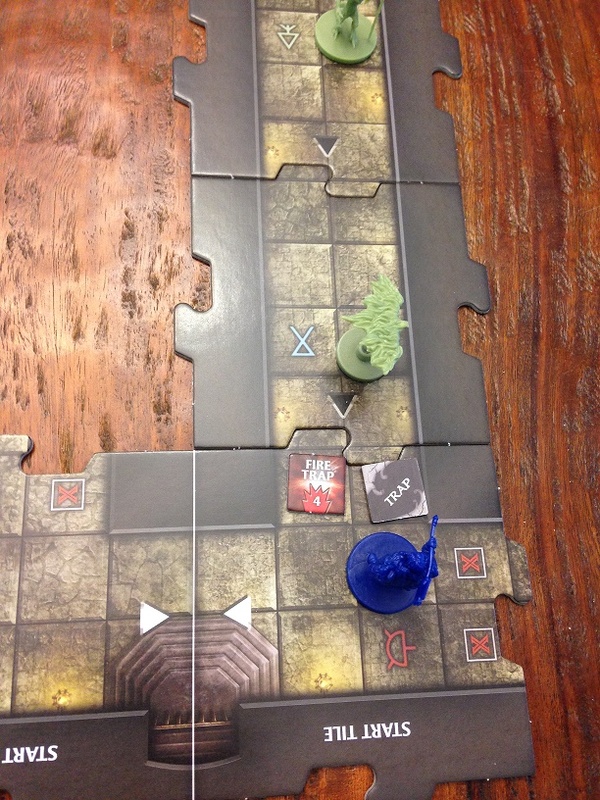 The boardgame version allows one to five players to assume fixed character roles—a fighter, a ranger, a cleric, a rogue (thief), or a wizard—and work through a campaign of adventures set in the temple (a de facto dungeon) and in the town nearby, each of which has a set goal but will vary each time it’s played due to various random draws. The game comes with a stack of 32 interlocking dungeon tiles, each of which has places for traps and/or monsters that will be drawn at random when the tile is revealed, and some of which also spawn a random Encounter card in which Very Bad Things happen to our heroes. The Monster and Treasure decks are also shuffled, with basic decks of 30 cards apiece to start the game and 16 more advanced cards incorporated as the players move through the campaign. A turn in an adventure is straightforward: One player moves his/her character, during which time s/he may reach the edge of the explored board and add another tile, engage in combat with one or more monsters, disarm or trigger traps, or use some special abilities from his/her power cards or items obtained during the adventure. Combat involves rolls of a 20-sided die (the icosahedron so familiar to old RPG players), where the player adds the die roll to the attack bonus on that player’s character card; if the sum exceeds the armor class (AC) of the target, the attack hits and the target takes the prescribed damage, typically one or two hit points. (To emphasize my age and inexperience in D&D, I still remember armor class working in the opposite direction—lower was better, while in the ToEE boardgame lower is worse.) If the player’s attack reduces the monster’s hit points level to zero or below, the monster is dead, the player gets to draw a Treasure card—mostly gold coins, but occasionally an item with special abilities—and gets to add the defeated Monster’s card to a pile from which the players can spend Experience Points to cancel an Encounter card. 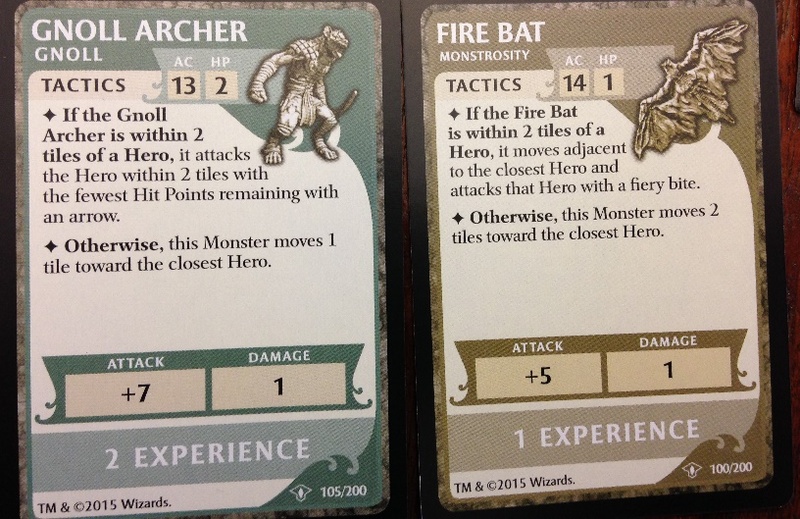 It takes five such points to cancel a card, and each Monster card has one to four Experience Points of value. If you attack but don’t kill the Monster, you’ve just made him angry and he gets to fight back; as you might imagine, if you suffer enough damage that your hero’s hit points level reaches zero, you are in the soup. Your party starts each adventure with two Healing Surge tokens to be used in just such an emergency, giving one not-quite-dead character about half of his hit points back. If you have used both of your Healing Surge tokens and another one of your characters is whacked back down to zero hit points, you are terrible at this game and you have lost the adventure. On the other hand, if you reach the victory condition for that adventure and all of your heroes are still standing (literally, as they have their own miniatures, which you lay on their sides if they fall to zero HP), you win and get some small bonuses as well as the right to move on to the next adventure. The rulebook itself is long, but the cards themselves have very clear text, so once you understand the mechanics of combat and movement, the actual gameplay is simple, although it’s time-consuming with multiple players. The miniatures themselves are a bother, as they’re hard to distinguish—you need an electron microscope to read the titles on the undersides of the figures’ bases—and take up a ton of space in the box; I’d have been happier with tokens for monsters instead of these figurines. However, my main criticism of the Temple of Elemental Evil game is one of my main criticisms of nearly all of the D&D products I’ve ever encountered: It’s just a series of fights, with little rhyme or reason. These “hack-and-slash” games may appeal to a large portion of the gaming audience, but I find they quickly lose their novelty, and it’s even more acute in ToEE, since characters aren’t changing or leveling up (there are only two levels for each character), just acquiring more stuff to fight better fights. The one exception I’ve come across is the Baldur’s Gate series of PC games, which took a well-known D&D setting and crafted a story to lead players through the game, a linear kill-the-big-foozle plot (although giving the player a darn good reason to want that big foozle dead) with numerous subplots and side adventures to allow for repeated gameplay with myriad variations. Combat was still essential to the game, but it wasn’t central. There was a tremendous amount of scripted dialogue, non-combat tasks, and some content that existed only for humor’s sake. 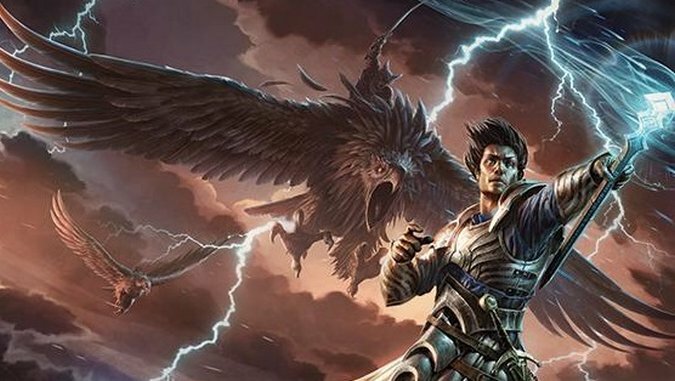 With the Temple of Elemental Evil boardgame, there’s a story in the book that describes the adventures, but it’s not present in the actual gameplay, and all of the trappings of the genre beyond straight-up combat are lost. Temple of Elemental Evil takes about an hour to play one adventure, and should be fine for kids ten and up to play and understand. It may appeal to players who are more experienced in Dungeons and Dragons gameplay, or who wish to wax nostalgic over the original Temple of Elemental Evil module. As a straight-up modern boardgame, however, it falls short of the mark. Keith Law is a senior baseball writer for ESPN.com and an analyst on ESPN’s Baseball Tonight. You can read his baseball content at search.espn.go.com/keith-law and his personal blog the dish, covering games, literature, and more, at meadowparty.com/blog.